On Saturday, 5/2, Kids Code Mississippi along with partners Maris, West & Baker; C Spire; SchoolStatus and JAWAD (Jackson Area Web and App Developers) held a full-day “hackathon” at Terry High School. The event featured 16 Terry High School students divided into four teams working from 9 a.m. to 4:30 p.m., competing to design and build a new, speculative website for the city of Terry. 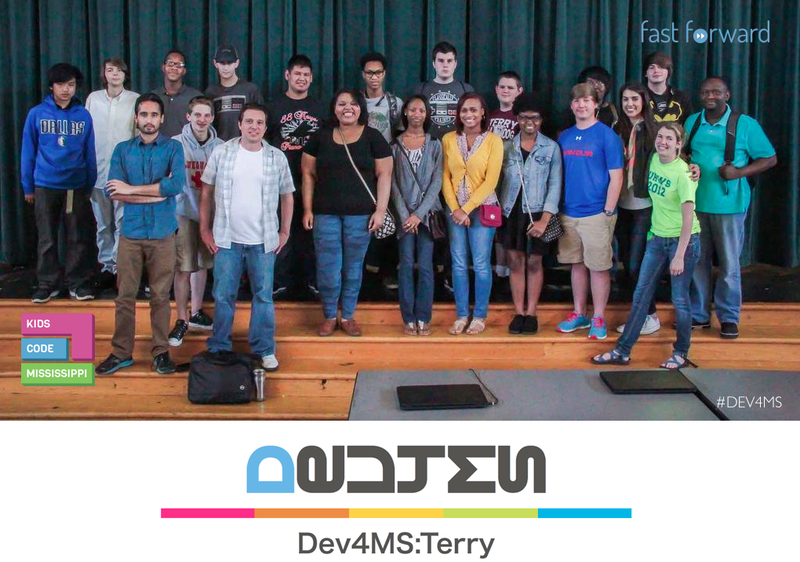 The hackathon was the first in a planned series of development and coding-education oriented events deemed “DEV4MS.” The inaugural event is DEV4MS: Terry. Professional developers from the Jackson area were on-hand Saturday acting as team mentors. Following the development phase, a panel of judges awarded prizes. The Kids Code Mississippi project can be followed on Twitter via @KidsCodeMS, or using #DEV4MS. DEV4MS: Terry is made possible by sponsorships from Mississippi-based companies SchoolStatus, C Spire, and Maris, West & Baker. 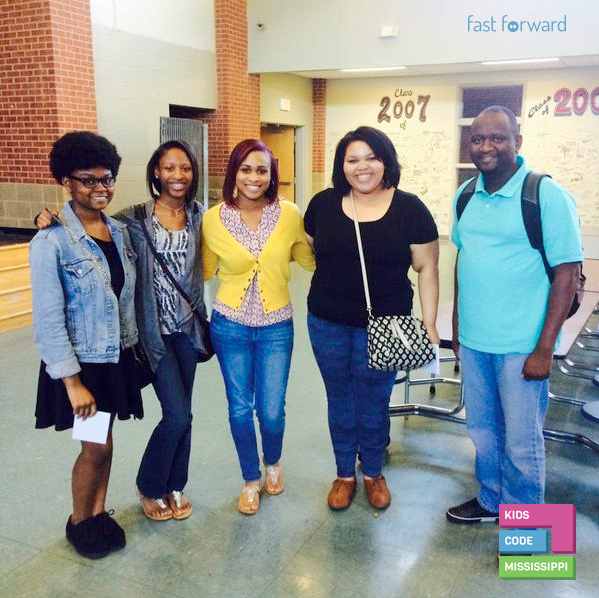 Kids Code Mississippi is a project of the Fast Forward Mississippi initiative, powered by Maris, West & Baker. Pictured to the left is the winning team from DEV4MS: Terry and the team’s mentor, Kendrick C. Wilson, a senior software development.